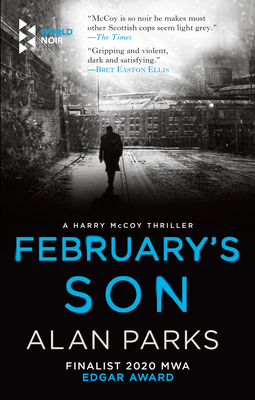 The second thrilling installment in the Harry McCoy series. A man hangs himself in a neighborhood chapel. Bodies of young girls are being found in canals and rivers across the city with high levels of Mandrax in their bloodstream. McCoy is asked to watch over a colleague's niece, who has left home young and is running with a bad crowd in Glasgow. DS Wattie is attempting to become a sergeant. Drugs in Glasgow have got darker and more dangerous. Glasgow, its music and its inhabitants all have rough edges in this hard city fought over by gangs, organized crime, the forces of law and order, and ordinary people trying to get by. Alan Parks was born in Scotland and attended The University of Glasgow where he was awarded a M.A. in Moral Philosophy. Bloody January is his debut novel.